Speakers: Lorelei (10 years) and Travis Ridout from Pullman, WA, USA. We kindly thank the University of Greifswald for the overflight permission. Science in Greifswald has started with the formation of the university in 1456. Andreas Mayer gets appointed as professor for mathematics and astronomy at the eldest Swedish university in the year 1741. However, astronomy in Swedish Greifswald has literally taken off with the astronomers Andreas Mayer & Lambert Heinrich Röhl in 1762. They are the authors of the first scientific astronomical documents from Greifswald that have survived until today. Proven observation venues and former observatories are: the Monastery Eldena, the Grey Monastery in today's Pomeranian State Museum, the residential building of Andreas Mayer in the Martin-Luther-Straße 10 (newly constructed in 1743) and the Powder Tower at the River Ryck (1775-1826). In January 1807, the Greifswald Observatory became French just to be turned over to Prussia in 1815. Today's observatory on top of the old Physical Institute was commissioned on July 12, 1924 thanks to the initiative of director Friedrich Krüger. Important historical observations in Greifswald: Transits of Venus in 1761 & 1769 as well as 2004 & 2012. Observational data from the 18th century had been used in the first pan-European research project to calculate the distance Earth - Sun to ca. 150 million kilometers [93 million miles]. The scientist in this project who traveled the furthest was James Cook who discovered among others Australia. Since July 29, 1992, the Observatory Greifswald e.V. operates, maintains and modernizes the world's only CARL ZEISS Double Telescope. The double telescope with a parallactical mounting and a mechanical centrifugal force tracking is situated in a 6 m [18 feet] wooden dome with vertical opening, comparable to the Einsteinturm (Einstein Tower) in Potsdam, Germany. The largest observatory of Federal Land Mecklenburg-Vorpommern consists of a lens telescope (200/3,000) from 1924 and a Newton mirror telescope (400/6,400) from 1935. The later one is appropriate for the photography of variable stars and was acquired for Greifswald's most famous astronomer Paul ten Bruggencate. For the direct viewing of the impressive sun eruptions (protuberances) a Quantum H-alpha-filter of The DayStar Filters Co., modernized in the year 2016, is in use during public observations. A MEADE Schmidt Cassegrain mirror telescope (200/1,260) and school telescope "Telementor" (63/840) are in operation for mobile observations. The class astronomy is still mandatory in schools of the Federal Land Mecklenburg-Vorpommern thanks to the support and promotion of the founder of the Observatory Greifswald e.V. Prof. Holger Kersten and his colleague from Rostock Prof. Manfred Schukowski. In the year 2001, minor planet 10114 (RZ 1992) receives the name "Greifswald" [Griffinwood] by its discoverers Lutz Schmadel from Heidelberg and Freimut Börngen from Jena. The research of Anneliese Schnell from Vienna showed that minor planet 496 (1902 KH) with the name "Gryphia" is also pointing towards the old University and Hanseatic City Greifswald at the beautiful Baltic Sea. Rephrased, Greifswald is one of the rare cities that have two minor planets! The Observatory Greifswald e.V. wants to catch the hearts and spirits of young academics with the "Johannes Conrads Award for Astronomy and Aerospace". Its prize money is € 500. The last winner was Lisa Knaack from Fraunhofer IGP Rostock. In 2017, Dietmar Fürst and his team was awarded with the lifetime achievement award, the "Mayer Röhl Honorary Award" which is worth € 555. He and his team have worked on the reconstruction of the eldest observatory in the Land Mecklenburg in Remplin near Rostock for 38 years. After more than 200 years, the broad public got the first chance to observe the sun again in the Observatory Remplin which was one of the most sophisticated in Europe in the 18/19th century. People interested in astronomy have a chance to meet their kind in the study group astronomy of the very active association, typically on the 2nd Thursday of the month. Largest current project: The € 200,000 General Restoration until the 100th Anniversary in the Year 2024. A supporting membership & donations, with tax deductible donation receipts, for this charitable association are welcome!  In case you want to mention us in your will, please, contact the president under: sternwarte-greifswald () web.de - thank you! Two euro will donate one hour of joy to somebody in the future. Today, the observatory is typically open for the broad public on each 1st & 3rd Thursday of the month. Guided tours by appointment are available from € 40 on.